Ann Goldstein has translated into English all of Elena Ferrante's books, including the New York Times bestseller, The Story of the Lost Child, which was shortlisted for the MAN Booker International Prize. She has been honored with a Guggenheim Fellowship and is the recipient of the PEN Renato Poggioli Translation Award. She lives in New York. "Elena Ferrante (for that is her real name, regardless of the private identity of the woman who uses it in public) has created a body of work that stands alone. This represents an entire world, made up of language, family, gesture, emotions, politics and culture." 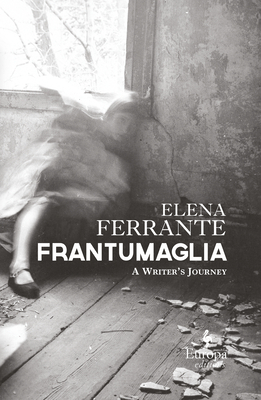 "Frantumaglia offers a chance to consider [Ferrante's] strange, spectral presence in the world of letters." "Ferrante's work is not about women or friendship or abandonment: It is, rather, about a sense of the deep-down rawness of life itself—which runs like an electrical current beneath the prose—and it is responsible for the thousands of pages of writing she has sent out into a world of readers hungry to feel alive to their own perilous condition." "It is an addictive, powerful, and disquieting miscellany of piercing intelligence, restless questioning, compulsive rumination, equable uncertainty, courteous self-possession, quiet generosity." "Ferrante's true readers (as opposed to fans – she draws a sharp distinction between the two) will be grateful for Frantumaglia and the story it tells, which is exquisite, regardless of those who would fact-check her." "This is a fascinating volume, as ever beautifully translated by Ann Goldstein. At times, it is as absorbing as Ferrante's extraordinary fictions and touches on troubling unconscious matter with the same visceral intensity." "In Frantumaglia there are some outstanding passages of literary criticism, feminist theory, film studies, sociology and philosophy. As a reader one longs to forget the gossip about her identity and just appreciate her as a critical thinker." "Never less than compelling...As a book of fragments, the title refers to the nature of the contents. But it also speaks to a vision of the self that is communicated throughout the material: human identity as something partial, fragmented, conflicted and heterogeneous." "[Frantumaglia is] a magnificent jumble of insights, reactions, and philosophical play." "We learn plenty about Ferrante in the pages of Frantumaglia...Ferrante has long maintained that everything we need to know about her is in her novels. Frantumaglia rounds out this picture."